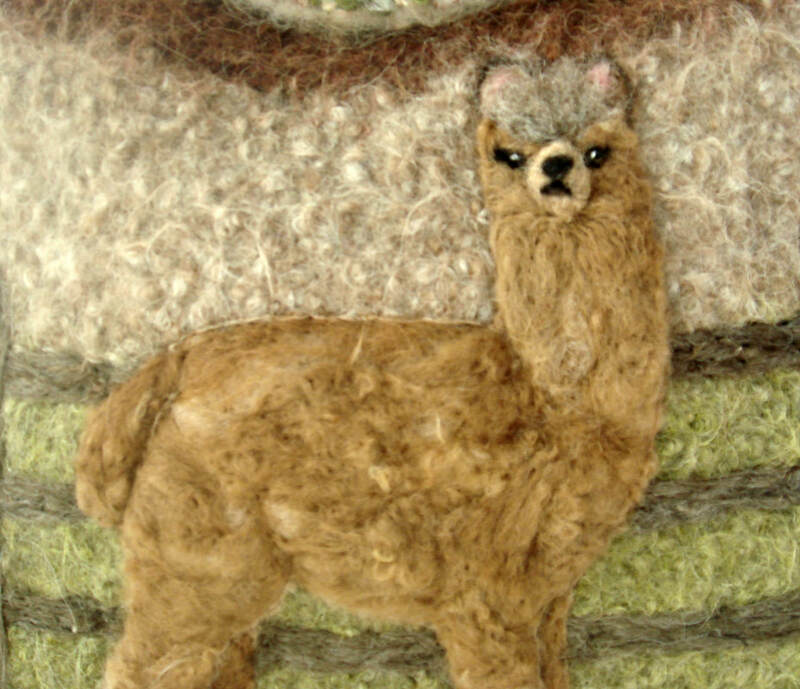 DESCRIPTION: Adorable animals!! 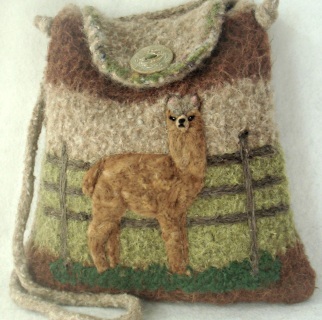 This beautiful 100% baby alpaca felted purse is silky and luxurious! The colors of brown , natural, and light green are very versatile! The bag has an inside pocket and closes with a beautiful ceramic button. 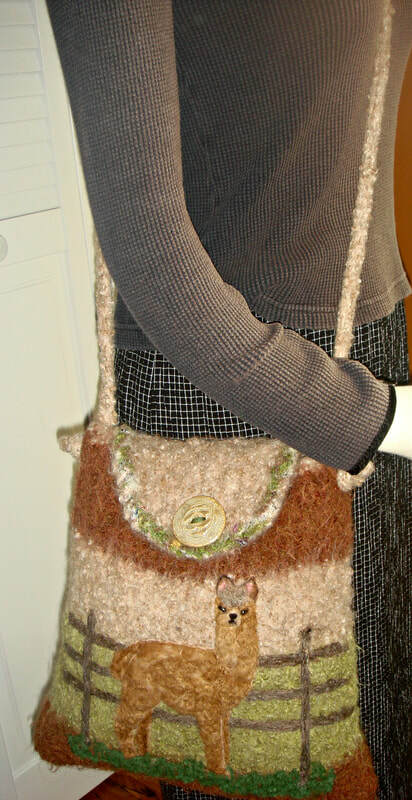 The ADJUSTABLE strap has a 24" drop but can easily be shortened. The measurements are: 12" X 11" X 2". Totally unique!! MEASUREMENTS: 12" X 11" X 2"